Join the most fun adventure today! Play Cartoon Blast and discover an awesome tap 2 game with unique gameplay, thousands of addictive levels and amazing boosts! Journey across the cartoon world, blast all the colorful blocks and enjoy hours of endless fun. 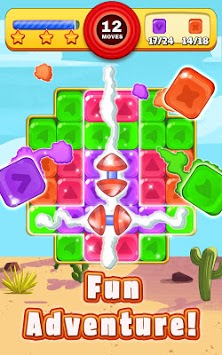 Download for free the best blast game and discover plenty of exciting quests and puzzle levels. Train your brain and show off your logic skills while tapping bricks and tackling those tricky challenges! Enjoy blasting all the tiles online or offline- it’s super relaxing. Cartoon Blast is easy to learn and play. 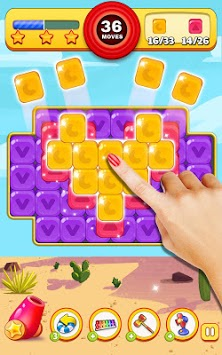 Tap and crush all the blocks to clear the board and move on to the next addicting level. The more toys you pop in one move, the better the chance you’ll unlock a cool booster that will help you defeat the obstacles. 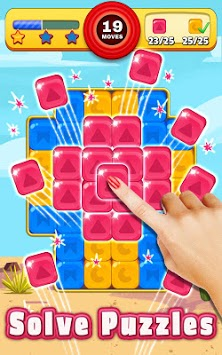 Use the cool power-ups and boosts at the right time to explode cubes and win awesome prizes! - Match 5 or 6 cubes to get a rocket. - Match 7 or 8 blocks to get a bomb. - Combine boosts to get bigger effects. Play Cartoon Blast anytime and anywhere- no wifi or internet connection is needed. Explore the animation world and experience hours of endless fun and tile blasting mania! Plenty of challenging levels and exciting quests. New puzzles and brain teasers. Amazing boosters to help you crash your way to the next level. Colorful, toony graphics and animations. Free to play and super fun tap 2 game. Click on any 2 adjacent bricks of the same color to blast. Play through thousands of colorful levels filled with cartoons and toys. Solve puzzles and achieve high scores. Complete the challenges each new level presents. Make powerful combos to unlock boosters that will help you blast the cubes. Plan your moves to crush the blocks and clear the board. Become part of the crazy adventure! Download the awesome Cartoon Blast game for free and join the fun today. Enjoy smooth, addictive gameplay, beautiful designs, and fun logic puzzles. Test your color matching skills in this awesome puzzle game, master the challenges and complete levels. Don’t wait any longer- POP all the cubes and win!